you can decide if you want to commit to buy it. 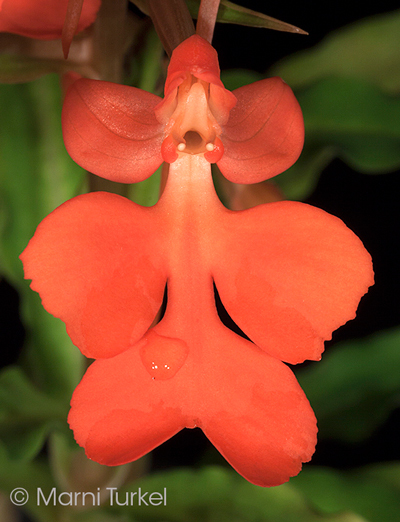 Habenaria roeblenii outcross #2202 ('4681' x '8865') (approximately 15 seedlings per flask). I also made the reciprocal cross #2203 (same parents, switched places) that I will be shipping interchangeably under this number. 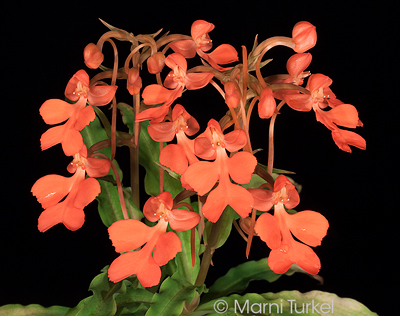 The Species: This species is listed as a synonym of Habenaria rhodocheila by some authorities, but after pollinating both, I will keep this as a separate species. 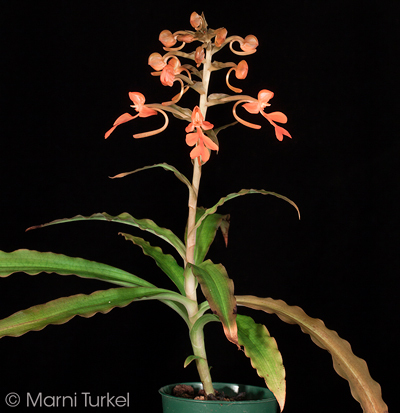 The foliage is attractive and the presentation of the spike makes it a very choice species. Culture: I have grown this species in both intermediate and warm conditions successfully. You need to provide for the seasonal dry conditions to succeed with this genera. I have found these do best if I deflask while in active growth. I keep them in a covered plastic tray for the first couple of weeks so the humidity stays high. An inexpensive covered aluminum cake or roasting pan from the grocery store will work well. 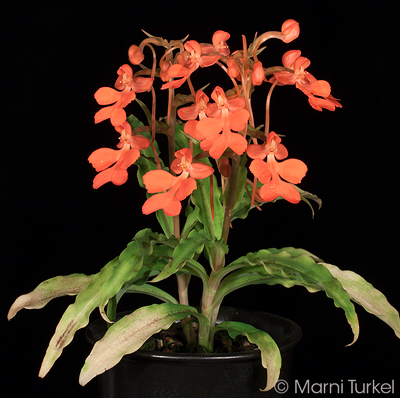 More on dry rest for Habenaria. During the growing season I water and fertilize as for many other plants. I don't let it dry completely at this time. Best growth for me has been achieved in a terrestrial mix (more or less: 3 parts fine bark, 5 parts pumice or perlite, 3.5 parts coir powder, 1.5 parts 1/2" lava rock, and 5 parts rich commercial potting soil). Others use moss or different mixes.